Benzinga, the leading digital financial media publication and data provider, announced today that over 200 finalists will be competing in nearly 30 categories at the 2018 Benzinga Global Fintech Awards. The BZ Awards competition recognizes the most innovative companies in every fintech vertical. Finalists and winners are determined by a panel of judges made up of industry experts from firms like Google, D.E. Shaw, CNBC, Fidelity, DRW, J.P. Morgan and more. Winners of the BZ Awards competition will be announced at the Benzinga Global Fintech Awards Gala on May 15, and the overall first, second and third place winners will speak on a “Winner’s Circle Town Hall” panel the morning of May 16. Benzinga also announced the full agenda to the event, which includes high-level speakers from top firms on Wall Street and Silicon Valley. BZ Awards attendees will hear from global heads of businesses at Facebook and Amazon Web Services, as well as heads of innovation from J.P. Morgan, Citi and HSBC. Heads of trading from every major brokerage, including TD Ameritrade, Interactive Brokers and Charles Schwab will also speak at the event. Other speakers include IBM Watson CTO Tom Eck, Venmo global product manager JoAnn Lambert, Acorns Chief Commercial Officer Manning Field, SigFig CEO Mike Sha and many others. A ticket to the Benzinga Global Fintech Awards is more than just an entry pass: Attendees will have the opportunity to network with Founders, C-Suite executives, directors of the newest and hottest FinTech companies, brokerages, banks, quants, hedge funds, VCs, and more. Attendees will experience live demos from fast-growing tech startups, incredible networking opportunities, panels and acclaimed keynote speakers. A limited number of early-bird tickets to the event remain, so be sure to grab yours at BZAwards.com. 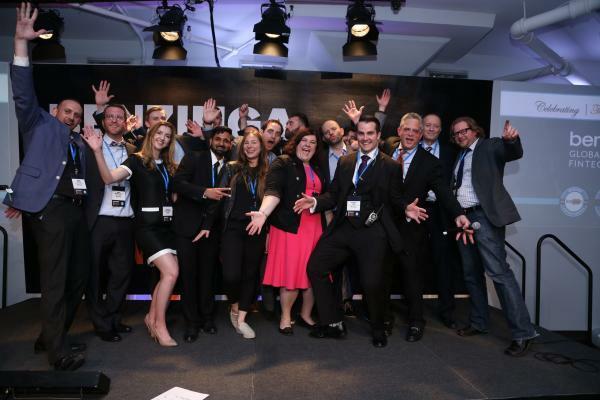 Savvy event-goers will keep their eyes glued to the Benzinga Fintech Awards Twitter account @BenzingaEvents and the Benzinga Fintech Focus newsletter for deals and promotions. Benzinga is a leading originator of actionable financial insights for traders and investors. Benzinga’s news desk is constantly breaking stories and moving billions of dollars of market capitalization through its real-time terminal, Benzinga Pro. Benzinga’s original content is syndicated to 70 partner websites, such as Yahoo! Finance, MSN, CNNMoney, Fox Business, Marketwatch, and more. Benzinga is the leading provider of news to the North American brokerage community, with a client list including TD Ameritrade, LightSpeed, TradeKing, and many more. The company is headquartered in downtown Detroit and dedicated to driving Detroit’s renaissance. For more information, check out Benzinga.com, Cloud.Benzinga.com and Pro.Benzinga.com.